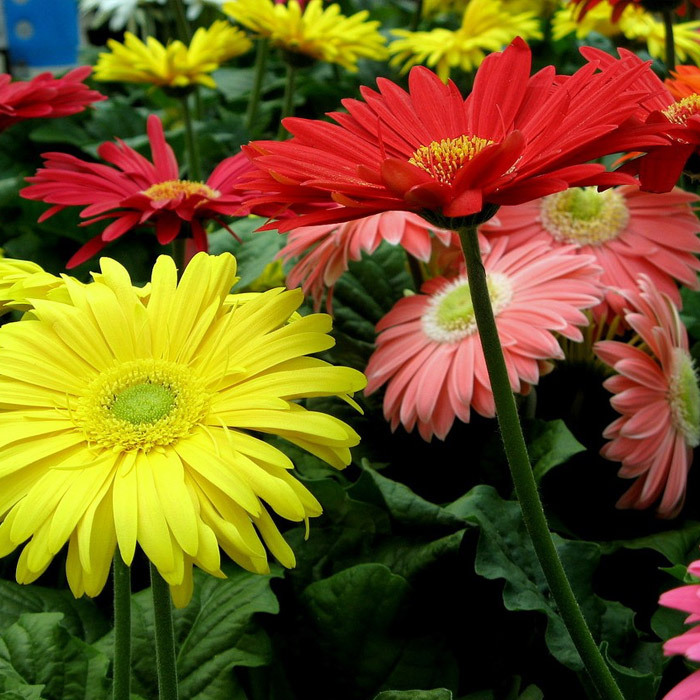 Notes: Nothing says ‘Spring Time’ like Gerbera Daisies in bloom! Plant in dappled light or semi-shady locations. Blooms spring through fall. Gerbera Daisies make excellent cut flowers. This plant will not tolerate full sun and if planted too deeply will decline and die.